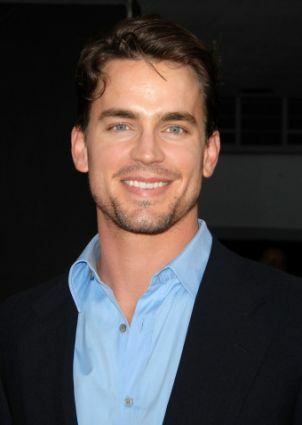 Matt Bomer will get to show the world his considerable singing talent when he guest stars on an upcoming episode of Glee. He will be playing the character of Cooper Anderson, older brother of Blaine (Darren Criss). The actor gets to duet with Criss on a medley of Duran Duran tunes and a cover of the current hit Somebody That I Used to Know by Gotye. I think that NPH should be worried. Since Bomer came out, he is really out there, showing us his versatility and talent. He may very well be the next host of the Tony’s or the Oscar’s. So happy for him for his current success. Seems like such a great guy. Agree he seems like great guy. I think his talent is above hosting gigs and ensemble sitcom guest roles. No one gay or straight is in his looks league and few can match his talent so yes many others should worry as the bar is raised here. Matt is great on his own show and has a huge movie career ahead with 3 films with great directors either complete or about to film. Glad to see him get the attention his talent deserves when lesser peeps get so much attention. I thank God that I’ve lived long enough to see people like Matt Bomer and NPH doing a stand up job representing the gay community just by being themslves. Of course, it doesn’t hurt to have great talent and looks.